For such a simple word, it's an awfully loaded one. Essential, an original work of art means that the artist made it themselves with their own hands. Original can mean it's one-of-a-kind, but not always. Don't conflate "original" with "unique"! Original can also refer to types of work where there are multiple originals, like etchings or lithographs. As long as the artist was actually responsible for the production of those prints, each one is considered an original, even if there are tons of identical works. To put it simply, a reproduction is a copy. Someone takes an original work of art and either copies it by hand using the same technique, or copies it using photographic techniques like prints, posters, or silk-screens. Reproductions are less valuable than originals, even the ones that are made by hand. Those tacky dealers may try to hide that something is a reproduction, so if something seems like a too-good-to-be-true deal, it probably is. A print can be made in many different ways (some of the most common will be described below). An artist creates a design on an object (the "matrix"), which can be made from a wood block, metal plate, or stone. That image can then be endlessly translated onto a piece of paper (the print) using ink or paint. This is an authentic piece of art, but a print can also refer to a photographic repoduction. A lithography is a type of print that is made by creating an image on a smooth, flat piece of limestone. The artist uses a greasy crayon or inks to draw the pattern, then wets the stone. The greast drawing repels the water, and then oil-based ink is applied with a roller and is repelled by the wet parts of the stone, leaving only the image inked. When a piece of paper is pressed against the stone, the inked image is transferred in reverse to the page. These terms can often be used interchangeably, but there are important differences. A monoprint has a single source for the image (like an etching), and is created by hand coloring or surface alteration. Each monoprint is unique. While there may be a series of similar monoprints created from the same image, they would not be identical. A monotype, on the other hand, do not have a repeatable matrix. A thin film of ink is rolled onto a blank plate onto which the artist directly creates the image by drawing into it or selectively rubbing parts of it off. Screenprints or silkscreen prints are created by placing a stencil of a design on a silk or nylon mesh screen that is attached to a frame. The paper or material the image will be transferred to is secured on the other side of the screen. Then, ink is scraped over the stencil with a squeegee and onto the paper through the uncovered areas of the fabric. In a nutshell, C-Prints or C-Types are color photographs. They're made with film and traditionally developed. "Digital C prints" describe the process of a photographic file later being developed with conventional photographic chemicals. There is a seemingly endless vocabulary used to describe digital prints, but they all refer to the process of creating digital photography. They may be digital from start to finish. They may use a digital camera and print on traditional photographic paper. They may produce a photographic negative that is printed on a digital inkjet printer. They then may tweak their language to describe different techniques or characteristics of their work that distinguish their pieces, like the type of paper or ink they use, or technologies that went into their process. If it's not evident, ask the curator or gallerist! They'll have all the information you'll need about how it was created. 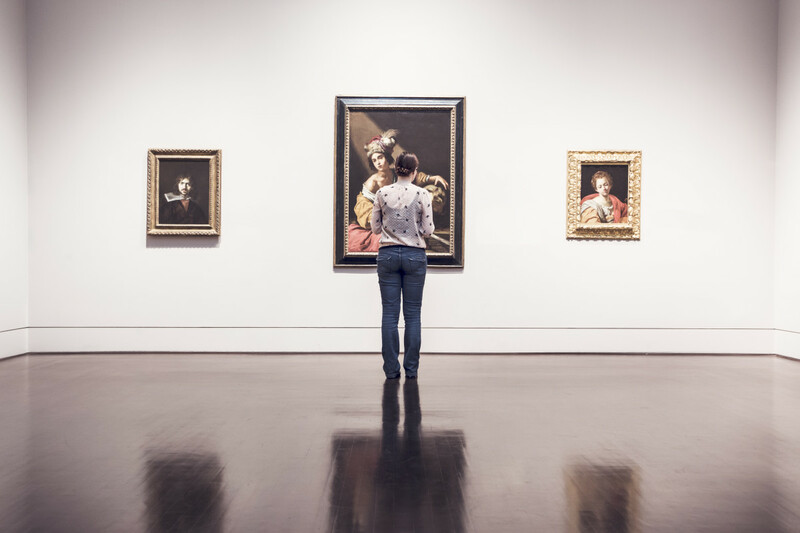 With these basic terms, you'll have the knowledge you need to smartly discuss and scrutinize the art you're considering and to make informed, worthwhile buying decisions.